MTBF is commonly confused with a component’s useful life, even though the two principles are not related in any way. For example, a battery may have a useful life of four hours and an MTBF of 100,000 hours. These statistics indicate that in a amount of 100,000 batteries, there will be approximately one battery failure every hour during a single battery’s four-hour life span. By contrast, a 64-processor server may last 50,000 hours before it goes into its wear-out period, while its MTBF value may only be 2,000 hours. So each Time Between Failure (TBF) is the difference between one Uptime_moment observation and the subsequent Downtime_moment. n = Number of observations. More simply, it is the total working time divided by the number of failures. This is the most basic sense of MTBF. However, when calculating MTBF for semiconductors, a more advanced method is required. MTTF stands for Mean Time To Failure. To separate between the two, the approach of suspensions must first be understood. In reliability calculations, a suspension occurs when a destructive test or observation has been completed without observing a failure. Whereas MTBF calculations do not consider suspensions whereas MTTF does. MTTF is the number of total hours of service of all devices divided by the number of devices. It is only when all the components fail with the same failure mode that MTBF converges to MTTF. MTTF= T/N where T = total time and N = Number of units under test. 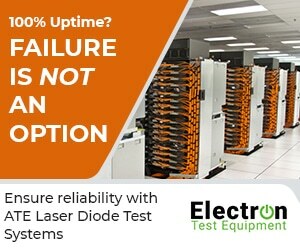 Example: 10 laser diode devices are tested for 500 hours. During the test 2 failures occur. MTBF= (10*500)/2 = 2,500 hours / failure. MTTF= (10*500)/10 = 500 hours / failure. If the MTBF is known, one can calculate the failure rate as the reverse of the MTBF. 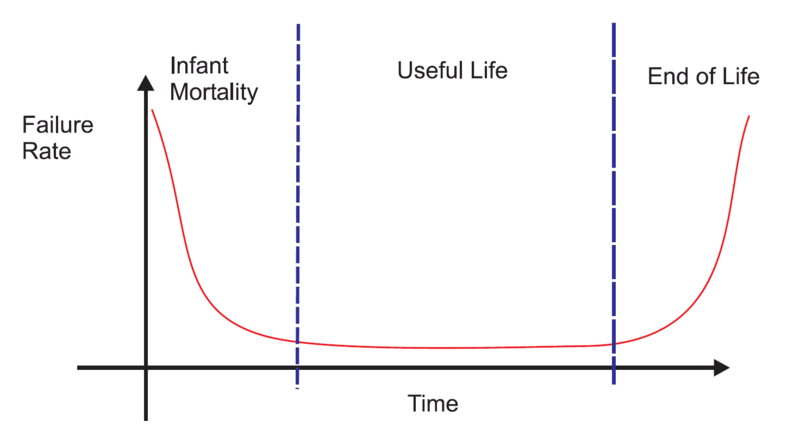 failure rate= 1/MTBF = R/T where R is the number of failures and T is total time. Once an MTBF is calculated, what is the possibility that any one selected device will be operational at time equal to the MTBF? An MTBF of a semiconductor of 1.4 million hours, determined in say, six weeks of lab testing, doesn’t mean we can expect an individual device to operate for 159 years before failing. MTBF is a statistical measure, it can’t forecast anything for a single device. 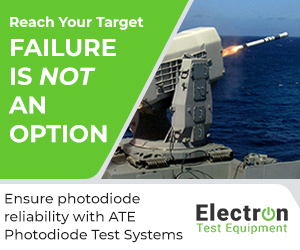 We can use that MTBF rating more correctly to calculate that if we have 1,000 photodiode devices operating continuously in the field, we can expect one to fail every 58 days for a total of perhaps 19 photodiode failures in three years.